I like the fact that simple things still make me smile. There is something about a wink that lifts my spirits…..it makes me feel like that shared moment was just for me. A wink can warm my soul and make me feel more connected to the person taking the time to make the gesture in the first place. There is an inherent difference between the joking, fun wink with the silly face and the genuine ‘I feel a connection’ wink that is far more heart-felt. 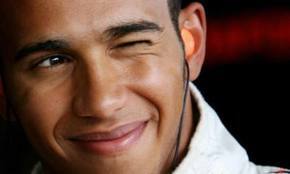 A wink can communicate an unspoken string of words that compels the person receiving it to smile in return. A wink can have many underlying meanings. A single wink can signify solidarity in a friendship, an implication of a closeness shared by two people. It can represent a shared secret and that simple gesture can bond two people in a mischievous way by allowing them to communicate without words. Winking can also be used to convey approval, but the most widely sought after wink is the provocative wink that may affirm a more intimate connection. The wink that makes you blush and feel giddy, makes your heart beat a little faster and catches your breath in your throat. If the wink has the desired effect the somewhat shy, flirtatious smile from the person receiving the wink is the natural response. A wink from the right person is a great thing…from the wrong person, not so much. Unless the wink comes from someone who makes it look like they’re having a seizure. If I ever make it to NYC I would like to witness that!! Ok, but I’m warning you, it’s really not pretty! I’ll make sure I have at least 3 glasses of wine coursing through my veins.